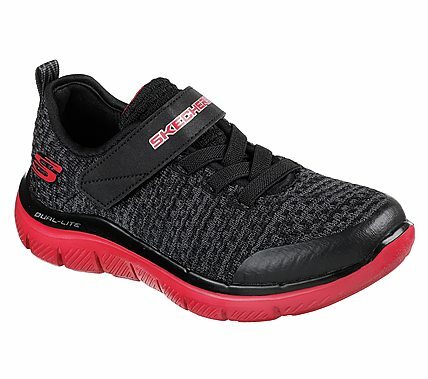 He'll be ready for action in a flash with sporty style and comfort in the SKECHERS Flex Advantage 2.0 - Quick Jolt shoe. Skech-Knit Mesh nearly one piece fabric upper in a slip on stretch laced athletic training sneaker with stitching accents. Air Cooled Memory Foam insole.